I have read a huge number of books on nutrition and health. Here are reviews of some favourites. As a published author, I’ve included my own two books one about sporting performance, one about living on minimal money. Succeed in Sport is a book for competitors in any sport who want to get the greatest performance improvement from the precious time that they spend training. Many people keep training diaries but few can use them easily to get feedback on how to improve. Succeed in Sport presents a method, developed from my experience as an international competitor over many years, using charts as a visual training diary. It takes less than a minute after each session of training or competition to record everything you need. One sheet covers a whole month. 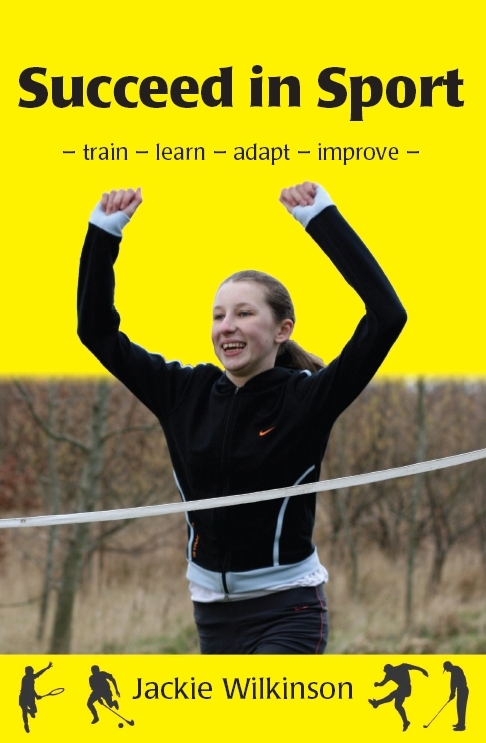 You will discover the types and frequencies of training that best suit your sport, your lifestyle, work and family responsibilities, leading to a tailored training programme and a plan for the year. Survival Guide for the Skint is a money management book with a difference. Jargon free with great cartoon drawings, it describes how to survive the financial perils of life based on real experience, illustrated using the metaphor of a cliff-top path. Clearly and simply covers: where your money goes; how to defend yourself to hang onto more of it; shopping; children; credit/debt; saving; slimming; gambling; going green and more. 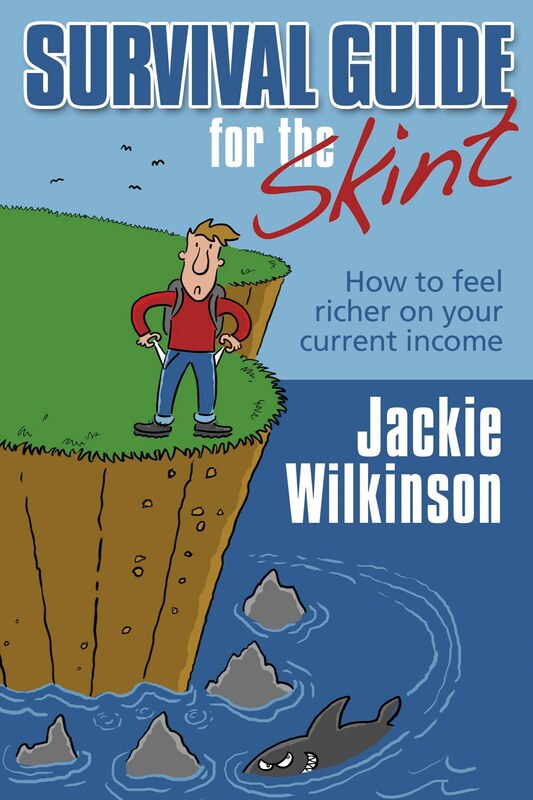 This book will appeal to anyone who’s ever felt short of money and wants to stop being skint. He concludes that governments around the world, including ours, have failed to devise policies in the best interests of the population, instead acquiescing to pressures from the food and pharmaceutical industries. He thinks (and I agree) that policy is unlikely to change quickly, in spite of the pressure from a group of doctors and nutritionists that has been asking for evidence based healthy eating guidelines. You might know Dr Rangan Chatterjee from Doctor in the House on TV. The 4 Pillar Plan is a gentle book of wise words, lavishly illustrated and imparting a sense of space and restfulness. The 4 pillars are Relax, Eat, Move and Sleep. What a powerful combination for health and well-being. Dr Chatterjee gives tips on how to achieve each of these and the benefits of them. He covers the Relax pillar first because it’s the thing most neglected in our culture. Most of us feel guilty even thinking about taking time out and end up not doing it. He gives us permission to do the things we enjoy in a similar way to Dr Phil (“pleasure yourself in a safe and sustainable way”). Everything is presented as achievable, like the neat concepts of movement snacking and time restricted eating. I’ve been reading Dr Mercola’s articles since 2004. He’s a doctor who switched from the conventional drug-centred approach to natural medicine based on lifestyle, especially nutrition and exercise. Sometimes I’m sceptical about a new idea but often it enters the mainstream some time later and gets more evidence to back it up. This is a great book founded on the premise that given what it needs to thrive, your body will typically regenerate itself without any outside intervention. That’s what Dr Mercola calls Effortless Healing. He describes 9 healing principles – all of them easy to understand and easy to do. You can dib in and out of different chapters but it’s very readable if you want to tackle it all. Principle 1) is about drinks – often the cause of trouble in today’s world. The simple solution is plain water. Principle 2) includes a picture of his own food pyramid with healthy fats and veg as the base rather than the grains and starches we’re told to base our diets on. He describes different ways of preparing veg. including sprouting, fermenting and juicing. Principle 3) explains fats to remove your fear of this wonderful energy source. Principle 4) explores different types of exercise. He shows how to do a few minutes of HIIT for all the benefits of hours slogging at cardio. Principle 6) covers gut health which is all the rage just now. Dr Mercola has been teaching us about good microbes and fermented foods for years. I sometimes ask clients what they’d do with an extra hour each day. When I was asked this question many years ago, my answer was “sleep”. And I do! Principle 7) looks at how sleep helps your brain as well as your body. Principle 8) has a selection of ways to stay grounded – all of them pleasurable! I’m still not sure about ‘grounding’. Your taps are earthed by law so you connect to ground every time you touch one. Then again I do enjoy walking barefoot on the lawn when it’s warm enough. He ends in Principle 9) with a list of 6 foods to avoid even though they’re generally held up as healthy. Diabetes by Dale Pinnock is so good I think it should be given out by GPs to every person diagnosed as diabetic or pre-diabetic. Dale has written it so that the technical bits are clear and easy to understand. He covers digestion, blood sugar and what can go wrong with insulin. Most of the book is given over to wonderful recipes with appetising pictures, so even if you don’t want to read the whys and wherefores, you can enjoy and benefit from the book. 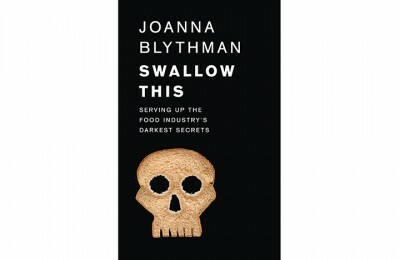 If you are still unconvinced that processed food is a bad thing, take a look at the latest investigative book by Joanna Blythman. A ready meal you buy in a box might have the same calorie content, percentage fat and similar ingredients to a dish that you make from scratch but they couldn’t be more different. Your home-cooked meal is food. What you buy in a box is a ‘food-like product’. You won’t even know about everything that’s in it due to quirks of the labelling laws – some ingredients will have been given misleading friendlier names and some won’t be listed at all. It’s not just the ingredients that are a problem, there’s the processing too. I love the way she compared in-supermarket bakeries to tanning salons! The bread is not made in store at all but many miles away and then frozen to be put through an oven later and fool us all with the wonderful fresh-bread smell. 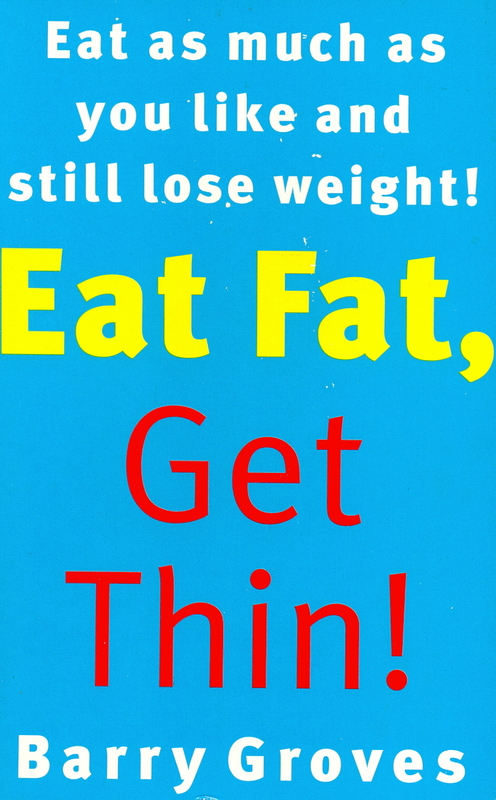 To honour Barry Groves (who died April 2013) my first book review is Eat Fat, Get Thin. I came across Barry years ago when he wrote for an archery magazine. His first nutrition column extolled the virtues of the great English Breakfast. Think fat makes you fat? Think again. Barry explains how our bodies have evolved to use different foods and what our natural diet really is. He debunks the calorie fallacy and shows that what really matters is to be selective about the types of foods you eat, not their calorie content. He also gives daily menus and lots of great recipes. I’ve bought 5 copies now as they tend not to return when people borrow them. Highly recommended reading for protein types and anyone who wants to lose their fear of fat. You probably already know that nutrition and exercise go hand in hand to keep you fit, healthy and feeling great. What you might not know is the enormous value of non-exercise movement throughout the day. We tend to assume that we can compensate for our hours in cars, at the computer, watching TV and generally sitting still, by going to the gym and working out at a furious rate twice a week. Actually, our bodies aren’t designed to respond best to that pattern. Joan Vernikos worked for NASA looking after astronauts. In this pivotal little book she explains how to engage with gravity to prevent the accelerated ageing that results from a sedentary lifestyle. The best fitness aid I have ever bought might turn out to be the kitchen timer that now sits beside my computer. When it beeps, I stand up! Sitting Kills, Moving Heals brings a message I consider to be massively important in our modern world.